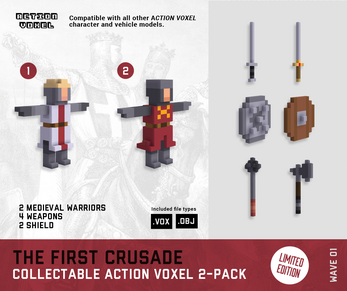 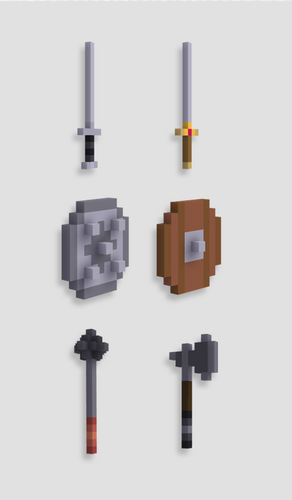 Action Voxels | The First Crusade 2-Pack is a medieval themed asset pack of two characters and weapons that can be used in any type of 3D game. Imagine these characters in an action game, a platformer, or an RTS. 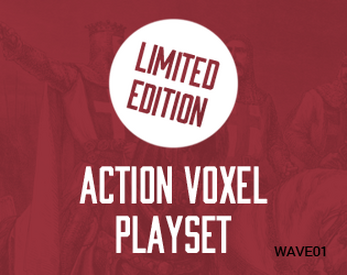 These fun models can easily be used in any 3D engine on the market. You can use these models as they are or open them in any voxel editor to make them your own. 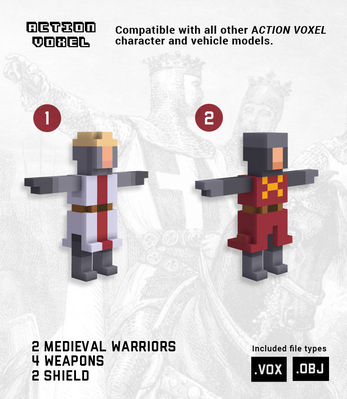 These models are not rigged or boned.